In the wake of South Africa’s refusal to grant a visa to the Dalai Lama, the Tibetan spiritual leader and previous Nobel Peace Prize winner, the World Summit of Nobel Peace Laureates has been cancelled following an international outcry and denouncement from fellow Nobel Peace Laureates. South Africa was supposed to host the summit, but it will now be moved to a different venue. 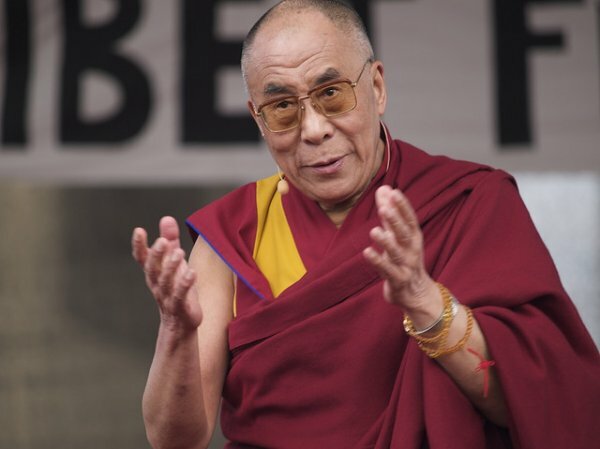 The World Summit of Nobel Peace Laureates in Cape Town, South Africa, this month [October 2014] has been cancelled owing to denial of a travel visa by the host country to Tibetan spiritual leader the Dalai Lama, a visiting Nobel laureate said here on Wednesday [1 October 2014]. "The venue of the summit has been shifted out of South Africa," Nobel Peace Laureate Jody Williams of the US told reporters here. The new venue for the summit would be announced later, she said. Williams is in this northern Indian hill town along with fellow laureate Shirin Ebadi of Iran to grace the Dalai Lama's Nobel silver jubilee anniversary celebrations scheduled for Oct 2 . "We feel proud that the summit has been cancelled after we lodged protest over denial of visa to the Dalai Lama," she said. "Even other Nobel laureates have lodged their protest over the issue," Williams added. Lobsang Sangay, Prime Minister of Tibetan government in exile, said the new venue of the summit would be announced later. Ebadi even questioned Archbishop Desmond Tutu's silence on the issue. "I am surprised over the stoic silence of Desmond Tutu. I know he is not part of the government but he's not making his views public," Ebadi said. "Let's not forget whosoever decides to stay silent against the dictator government is contributing to the dictatorship," she added. Coming out in support of the Tibetan government-in-exile's cause, Ebadi said: "I am here to learn from His Holiness, who has been leading a non-violent struggle for over 50 years. I hope, someday, I will be talking to you in free Tibet." Williams, Ebadi, Leymah Gbowee of Liberia and a representative of the International Campaign to Ban Landmines (ICBL) have announced they were pulling out of the summit which was to be held Oct 13-15 . "The Dalai Lama advocates a non-violent, negotiated solution to the Tibet problem -- what he calls 'the middle-way approach' -- and is calling for real autonomy for Tibet under Chinese sovereignty," a Nobel Women's Initiative statement said. The Nobel Women's Initiative is led by Nobel Peace laureates Williams, Ebadi, Rigoberta Menchu Tum, Gbowee, Tawakkol Karman and Mairead Maguire. It said the decision to cancel the scheduled trip "follows South Africa's refusal to issue a visa to the Dalai Lama for the Nobel peace laureates in Cape Town, and China's public declaration of thanks for South Africa's decision to block the spiritual leader from entering South Africa". Fourteen Nobel Peace laureates had also urged South African President Jacob Zuma to allow the Dalai Lama to visit South Africa. In a letter to Zuma, they said they were "deeply concerned about the damage that will be done to South Africa's international image by a refusal or failure to grant him a visa yet again". Signatories on the letter reportedly included Poland's Lech Walesa, Muhammad Yunus of Bangladesh, Ebadi, Gbowee and Northern Irish peacemakers David Trimble and John Hume. South Africa last month requested the Dalai Lama to defer his visit for this year only. "We had a meeting with officials of the South African High Commission and foreign ministry here (in Delhi) and they requested his holiness to defer his visit to their country for this year only," Tempa Tsering, the Dalai Lama's representative in New Delhi, told IANS. The Dalai Lama has lived in exile in India since he fled Tibet during a failed uprising in 1959. He favours "greater autonomy" for Tibetans rather than complete independence. Chinese leaders have, however, called him a "splitist" who wants Tibet to secede from China.